Roundabout art. It seems that where people build a roundabout in Denmark there is an urge to put something in the middle. 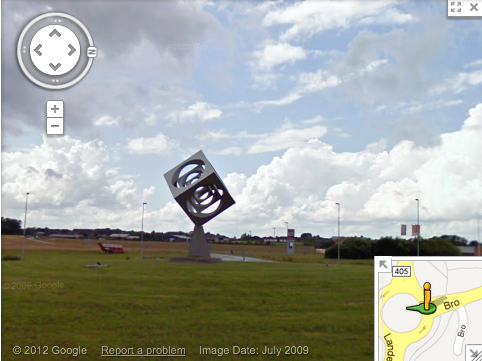 One of the better examples of roundabout art is the cube with spheres outside Augustenborg. The sculpture is made by Piet Hein, a scientist, architect and poet who created many interesting things. On the way to work we pass by it every day and I got curious about it. The sculpture, called Kuben, was inaugurated in 2008, exactly 20 years after Peit Hein had finished his drawings for it. The artist himself never saw it finished as he passed away in 1996. It weighs 5 tons and stands 7 meters tall. The sculpture is funded by Bitten og Mads Clausens Foundation. 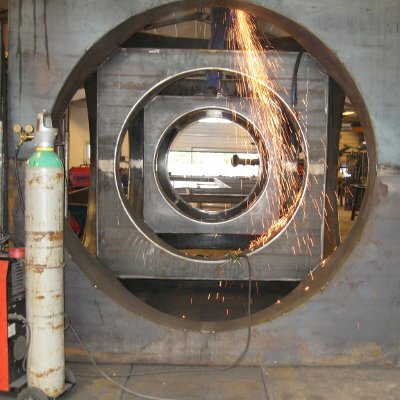 Kuben being constructed by the company Royal Tee. This entry was posted in Spotted in Sønderborg and tagged art, Augustenborg, driving, road, road art, sculpture by Michael. Bookmark the permalink.